The strong easterly wind has managed to break the mooring to one of the 5 knots bouys. 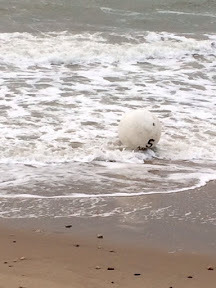 The buoy was discovered this morning near to the Spa beach huts. An email to the Town Council has seen it recovered to be redeployed by contractors. If you are travelling to Swanage by boat, please observe the 5 knot speed limit .